Bracket’s all busted? Need some skin in the game? 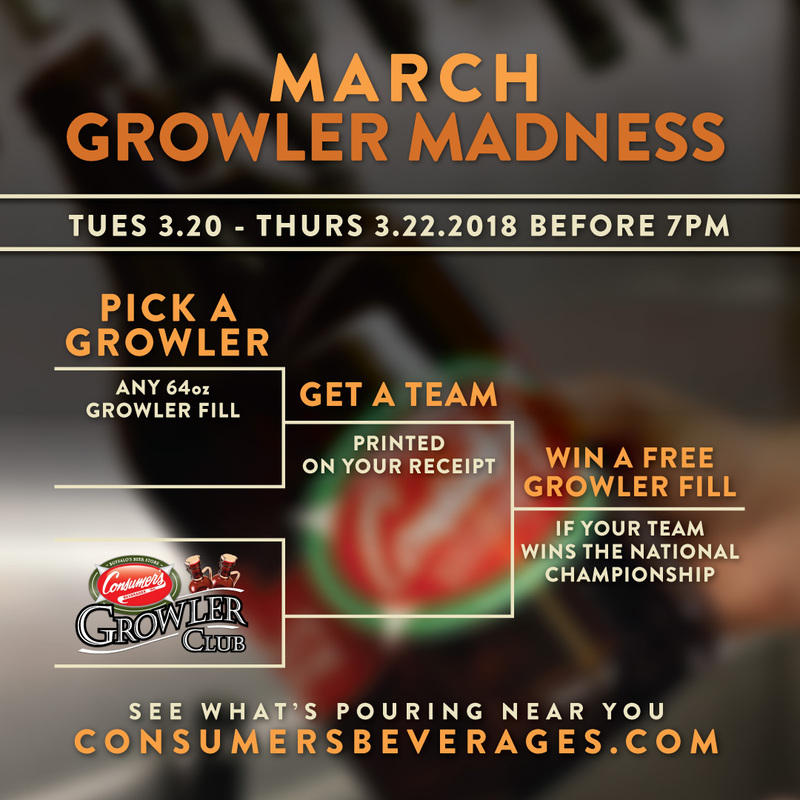 Well then grab your growlers and head to your closest Consumer’s Growler Filling Station before Thursday nights games (7:00pm) and fill up! 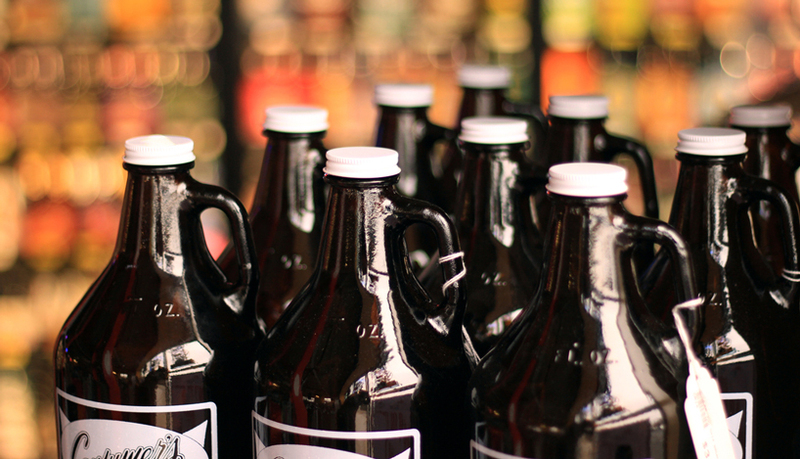 Purchase a 64oz growler fill and we’ll print the name of a college on your receipt that’s in the Sweet 16. Keep your receipt and if your team goes on to win the National Championship game on April 2nd, we’ll give you a FREE 64oz Growler Fill!! Let the March Growler Madness begin! Effervescent, lightly tart and spicy, Allagash makes a quintessential Belgian-style wheat ale that will certainly brighten up your morning of food prep. Brewed with a proprietary blend of coriander and orange peel, White is rooted in the Belgian tradition of complexity through simplicity. If Beermosas are your thing, start with one of the best Belgian White Ales on the market. Nary a Thanksgiving holiday goes by without Sierra Nevada Celebration Ale showing up to the party. This award-winning American IPA is packed with pine and citrus notes that ring our bell every year. One of the few hop forward holiday ales, Celebration has been brewed since 1981 and is regarded as one of the very first American-style IPAs. Now we’re thirsty. Most people have a favorite beverage for their dinner table at Thanksgiving…ours being a wonderfully put together Saison from Brewery Ommegang; Hennepin. 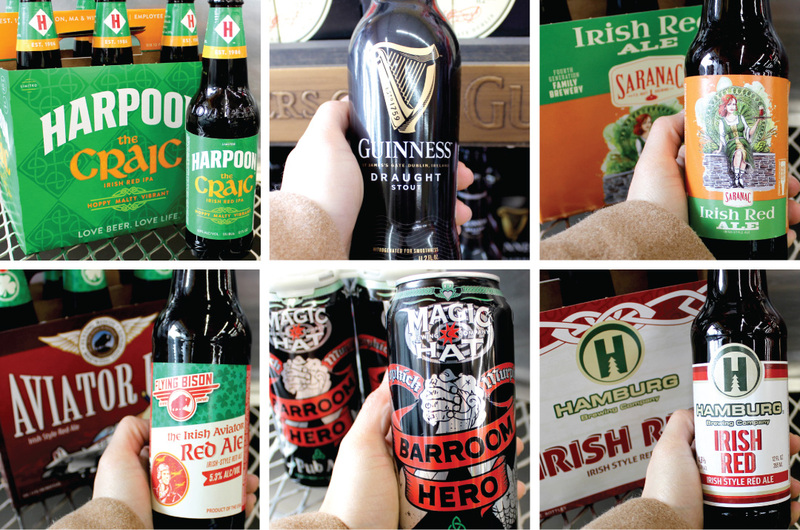 This beer hits all the right spots in turkey town by offering a myriad of subtleties to complement and contrast your whole meal. See how well it works with your cheese plate and you’ll find the same joy in pairing it with turkey and stuffing. Pass the potatoes, please. Pie is key. It’s the ultimate reason to wake up from your post dinner nap. What to drink with it? We find that a smooth and creamy sweet stout pairs perfectly with pumpkin pie and does equally well with pecan. Oat Stouts happen to also be a perfect base for an adult “Beer Float” with chocolate ice cream and almonds! If pie isn’t your bag, a delicious American Strong Ale just might be. Dank bitterness, citrus aromas and slick booze hover above layers of caramel malt sweetness and super drinkability. Be careful with this one folks, Shugga will sew you to your recliner. Grab a blanket and snuggle in. Today was a good day. 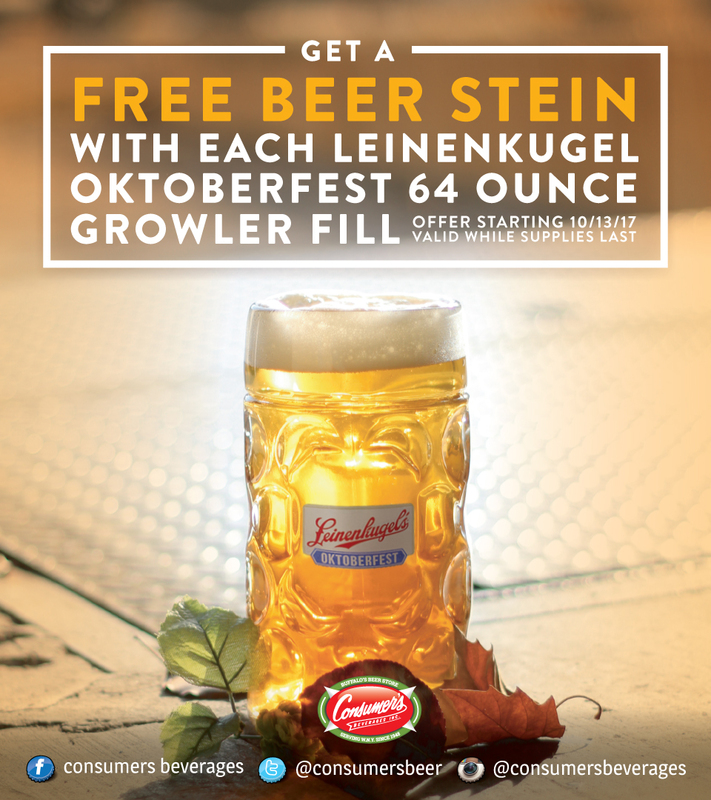 GET A FREE 1 Liter BEER STEIN WITH EACH LEINENKUGEL OKTOBERFEST 64oz GROWLER FILL! 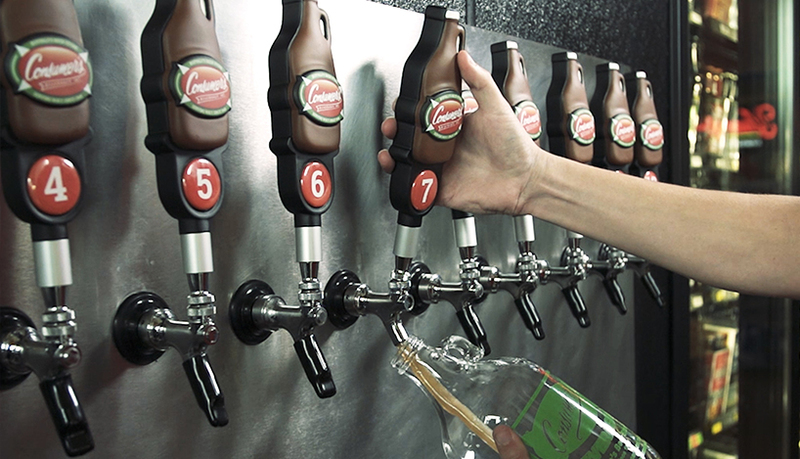 Celebrate October with this FREE Leinenkugel Dimpled Beer Mug. Super sturdy and just the right size; add one (or two) to your glassware collection this weekend! 7th ANNUAL BALLPARK BREW BASH IS BACK! Don’t miss out on this year’s Ballpark Brew Bash which features 50+ breweries from all over the world, food trucks, games and a whole lot more! So grab some friends, throw on some sun-tan lotion and help us kick off Buffalo Beer Week in style! Tickets are available at all 17 Consumer’s Beverages and online at ballparkbrewbash.com. *This is a 21+ older event.